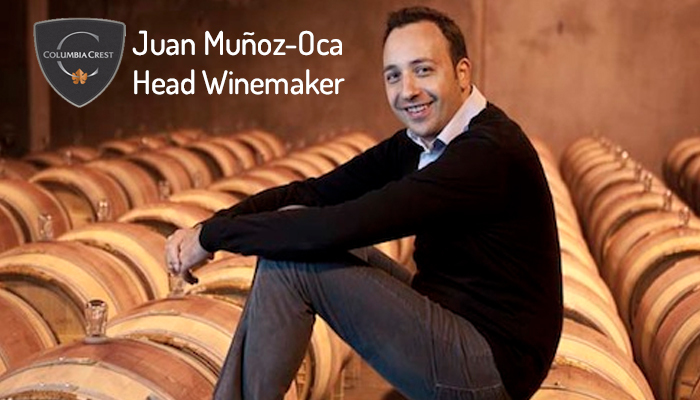 Welcome back to Uncorked Monthly, recently I have the privilege to speak with Juan Muñoz-Oca. 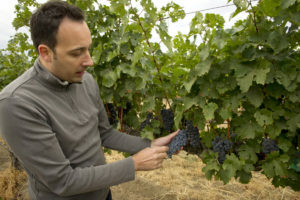 Juan is the head winemaker at Columbia Crest Winery in Paterson, Washington and recognized as the leading producer of acclaimed high-quality wines from Washington State. Patterson is an unincorporated community in Benton County, Washington, United States, located on the northern banks of the Columbia River at the junction of Washington State Route 14 and Washington State Route 221. Juan grew up in Mendoza, Argentina the capital of the Mendoza Province and the heart of Argentina’s wine country and famed for the Malbecs and other bold reds. Juan grew up in a family that was related to the wine industry. In fact, his grandfather was a grower and ended up being a GM for a winery. As a child, Juan’s dad took him to visit his grandpa at the winery and vineyard. Juan grew up in that environment where everybody you know is in the industry one way or another, related to the wine industry, and he never thought about doing anything other than making wine or growing grapes or both. Juan’s journey to wine began when he was only eight years old when his grandfather who was a cellar master taught him everything about the wine industry. His grandfather would make homemade wine for the family and friends and the neighbors, and so all of that passion was very contagious to to Juan and from an early age, he never thought about doing anything other than being in the wine industry. Juan grew up with this dual life in Argentina wine country, he lived in the city of Mendoza, right in the heart of the city. During the weekdays, he walked to school and then went to the park with my friends and played soccer. On the weekends, his family would drive out to see either the vineyard or see his grandparents, which was about 45 minutes to an hour outside of the city of Mendoza. Juan had that dual thing of being a city boy, yet having this passion for what was happening in every cultural setting around him. 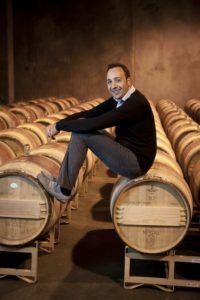 This lead his winemaking interest, his thirst for education for the wine industry, and his philosophy in winemaking, which is to make wines that are a truthful representation of the place where the grapes grow, because he believes that’s what makes those wines unique and special. “This transformation is inspiring for people. I mean the availability of different wines that we have at our fingertips from all over the place, all around the world, and from different vintages. I think it triggers something very unique for us.” said Juan. As I continued to interview Juan, just listening to him brought a smile on my face as he answered my questions. I spoke with so much passion and energy behind every answer as if it lives and breathes through every bit of his body, soul, and mind. Juan normally tells people that winemaking is not what he does, it’s who he is. The most important lesson his grandfather ever taught him was patience. Juan remembered wanting to know what made a bottle of wine special and his grandfather always told him patience. This lesson is important when it comes to wine because the craft of winemaking takes so long to actually master. “I think about chefs often in this setting when I try to explain why the craft of winemaking is hard to understand. The chefs, I admire everything they do and I envy the creativity in what they do. But, unlike a chef, when he or she is exposed to a new technique or a new ingredient or a combination of both, you can cook once and once again until you master that technique or you perfect the use of that ingredient until you actually get it down where you had the vision for that dish. Winemakers actually get one shot a year and you tweak the variables to make that one harvest fit that idea that you had of the final wine and if something doesn’t go quite right, then that’s your one shot. As a winemaker, you will have to wait for another year to do it again. So having patience is important as you can actually master that craft over the years, it’s probably the most important lesson that I’ve learned from folks that have been doing this for way longer than I have. I’m very interested in the nuances of what makes something great versus just mundane and common.” said Juan. Juan brought to the Columbia Crest family a good amount of thinking outside the box and injected creative ways to better express what makes their wines unique over other wines. This creativity and forward thinking brought together the first ever internet vineyard where the people have the ability to participate and vote in the decisions around the winemaking process that the Columbia Crest team is faced with on a weekly basis, from pruning the grapes all the way through bottling. 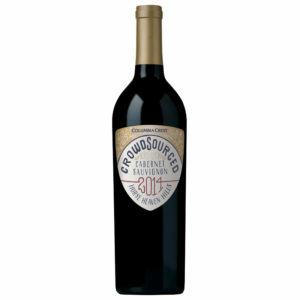 This wine is called Crowdsourced Cabernet. “We’re giving the crowd the option to not only blend some other varieties with our Cabernet Sauvignon but also pick the different varieties and then we’re trying to educate the crowd on what bringing each one of those varieties will actually bring to the table, the blending table, and then what that will mean for the final wine. It’s fascinating to see the crowd and how they react to every single one of our voting categories and it’s just wonderful.” said Juan. Crowdsourced Cabernet now available for purchase. You told us to harvest at night, create a wine with a lot of complexity yet soft tannins, and age it 16 months in 30% new oak barrels. The result is your 2014 Crowdsourced Cabernet — the world’s first crowdsourced wine. It’s a beautifully integrated and layered Cabernet Sauvignon with the Horse Heaven Hills. Purchase your Crowdsourced Cabernet here. 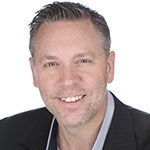 The first official Executive Crowdsourcing Officer (E.C.O.) waiting for a guy named Juan to pick him up. As you can already tell, Columbia Crest is dedicated to celebrating the rich heritage of Washington winemaking through an unwavering commitment to producing outstanding, approachable wines.